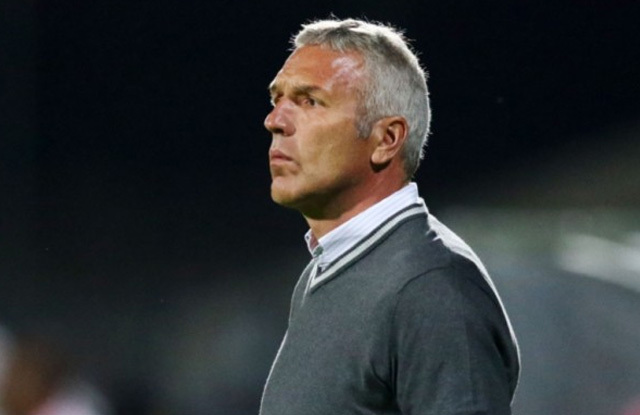 Ernst Middendorp won’t be losing too much sleep pondering over playing stylish football, the main priority for the Team of Choice to get results. United are set to take on Golden Arrows in a KZN derby at the Harry Gwala Stadium on Friday night, March 11, 2016, 20H00 kick off. They go into the game on the back of a 3-1 win over Black Leopards in the Nedbank Cup last week. While Leopards received some praise for their intricate passing game, Middendorp admits that for him, its more important to get a positive result than to play ‘beautiful’ football, especially at a stage of the season that Maritzburg need to start stringing some results together to escape the relegation zone. “We had a lot of beautiful games in 2016. The beauty is lovely, if you get complimented for playing Barcelona style tika-taka. We had a beautiful game against Chiefs, a beautiful game against Pirates, against other teams, Platinum Stars, 50 minutes against Wits, but what did we get out? “But we decided, it’s not about the midfield game, it’s about picking up the ball and that is why we kept two even three players up front,” Middendorp continued. “From the tactical side, we were not playing through the midfield, passing directly to the forwards. It was important too for us to keep things solid, although it was not always solid, they did break through a few times, always keep two or three players up front.